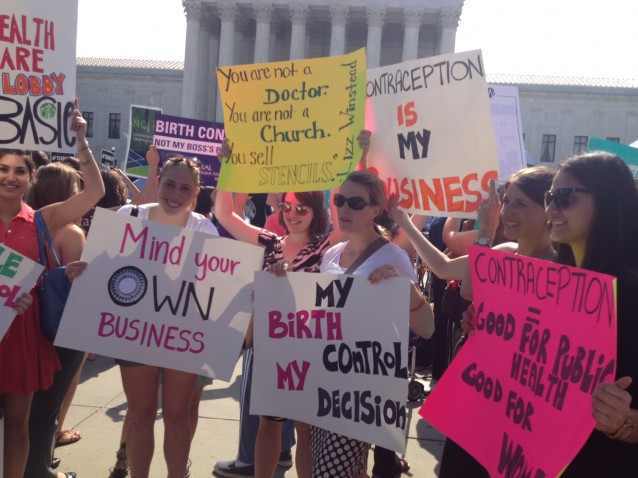 As the Supreme Court ruled in favor of religious bigotry and corporate personhood, protesters outside showed their disapproval with signs saying things like "my uterus is not on payroll," and "My health care is not your hobby," and "keep your rosaries off my ovaries. Do You Know John Kiriakou? 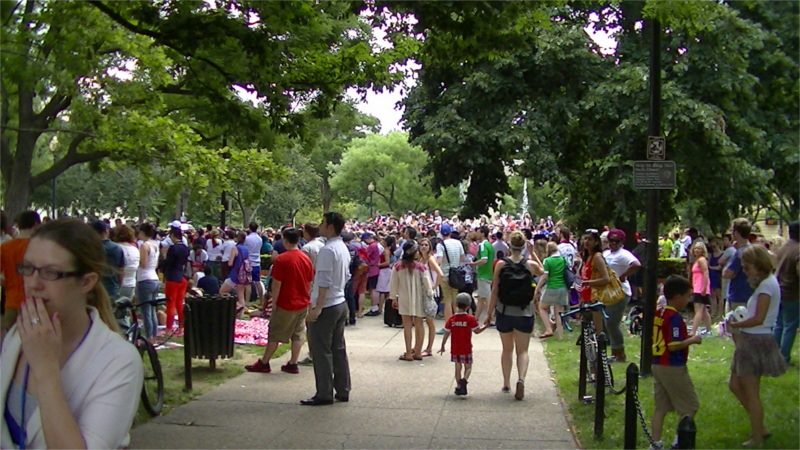 Read more about Do You Know John Kiriakou? 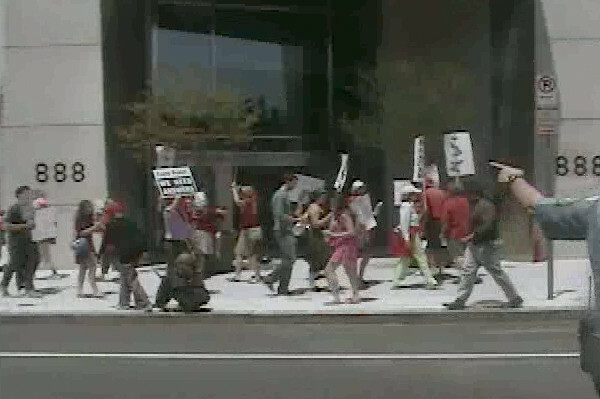 On the 28th of June, protesters from Climate First! 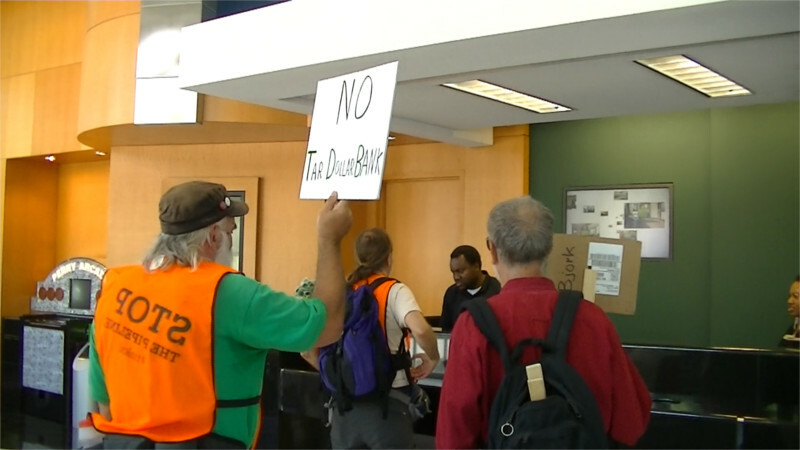 entered two branches of TD Bank demanding they sever their ties to TransCanada, builder of the Keystone XL tar sands pipeline. 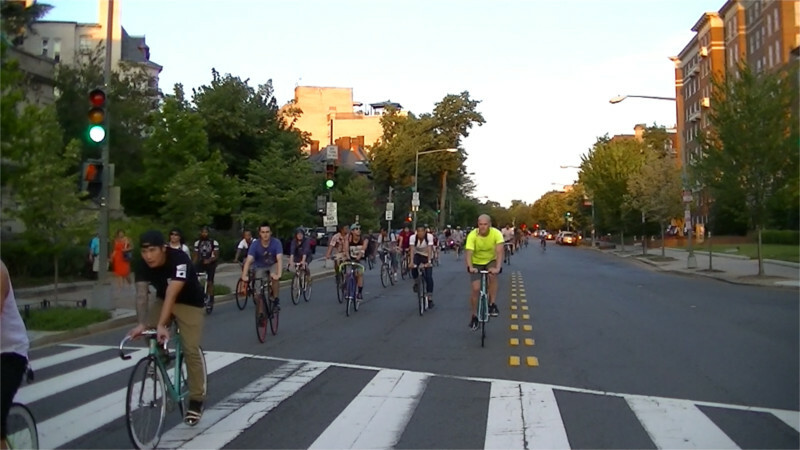 On the 27th of June, over 50 riders showed up for Critical Mass DC. This ride was less than a week after the Solstice, so the first half way in daylight even with an 8PM start time on the last Friday of every month. 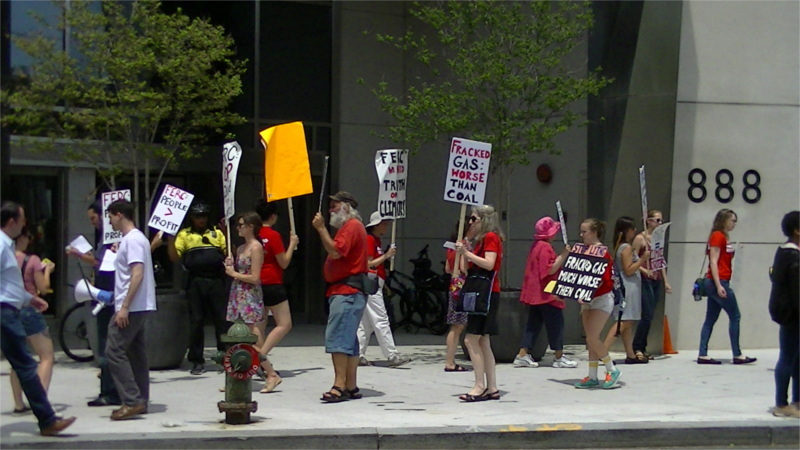 On the 25th and 26th of June, MD residents and supporters continued their noon pickets at the Federal Energy Regulatory Commission, considered a rubber stamp for the oil and gas industries. Code Pink Demonstration at the Egyptian Defense Office to protest the unjust sentencing of Al Jazeera Journalists and 183 Egyptians Sentenced to Death, and Call for an End to US Military Aid to Egypt . On Monday, June 23, an Egyptian court convicted three Al Jazeera journalists of “aiding the Muslim Brotherhood,” sentencing two of them to seven years in prison and one to ten years!! Just a few days earlier, 183 Egyptians were sentenced to death for simply being allegedly affiliated with the Muslim Brotherhood. The International Monetary Fund (IMF) released a staff paper noting that corporate tax avoidance negatively impacts all economies, but hurts developing countries the most. The IMF's release comes as the G20, the Organization for Economic Cooperation and Development and United Nations bodies seek vehicles to diminish corporate tax avoidance. "The developing world loses more in corporate tax avoidance than it receives in aid from developed countries," stated Eric LeCompte, Executive Director of the religious anti-poverty group, Jubilee USA Network. 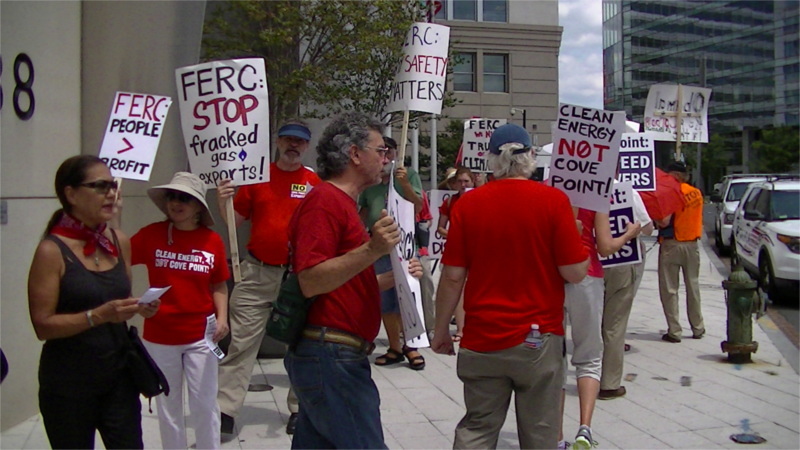 On the 24th of June, Calvert County residents spoke out against gas export out of Cove Point in the second day of the week-long pickets at FERC organized by Chesapeake Climate Action Network or CCAN. At 4:06 in the video, the last speaker says the money Dominion is spreading around will be spent on doctor bills, hospital bills, air tanks, and oxygen tanks. 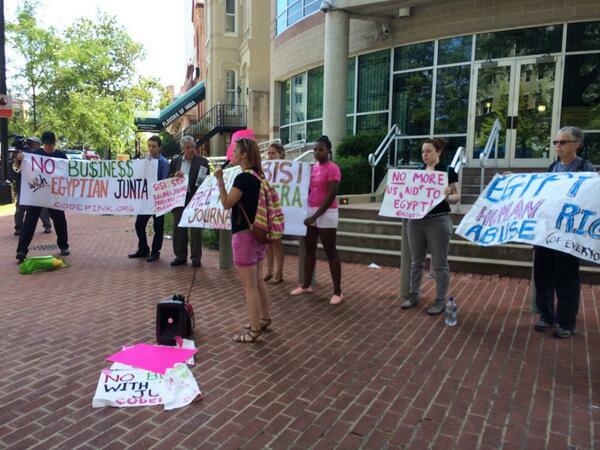 On the 24th of June, Code Pink showed up outside the Egyptian Defense Office in DC, demanding that the military coup government of Egypt free the latest 183 protesters sentenced to death and free the three Al-Jazeera journalists they have arrested.